2 and 3 start at halfway. 3 cuts in and looks to receive the ball, before sprinting through the lane and swinging wing down baseline. 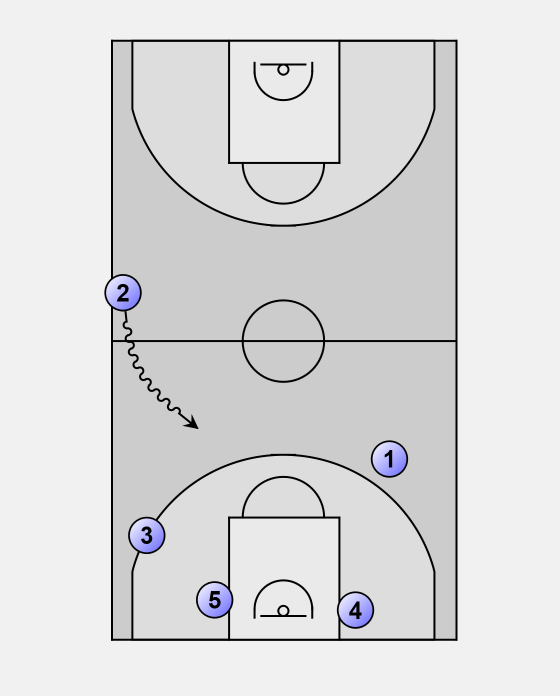 4 looks for ball, then sprints down lane to low post position. 5 inbounds to 1, who passes to 2 at centre court. 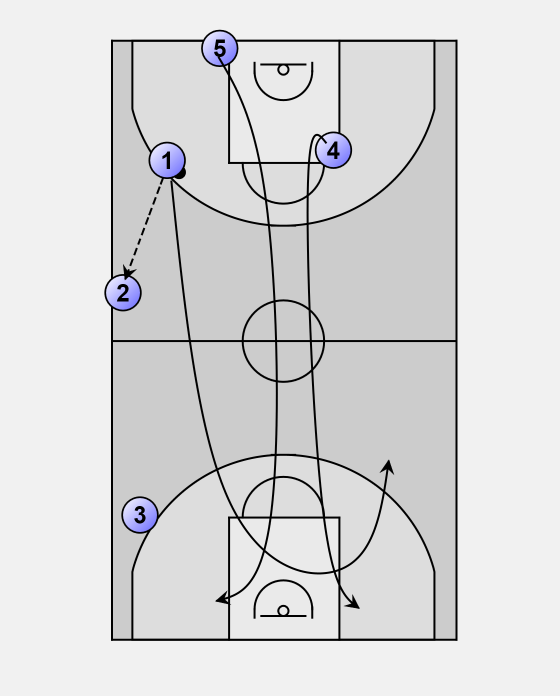 5 runs lane to low post baseline. 1 runs near 2 for possible pass back, then swings wings to opposite wing, comes back to centre court. 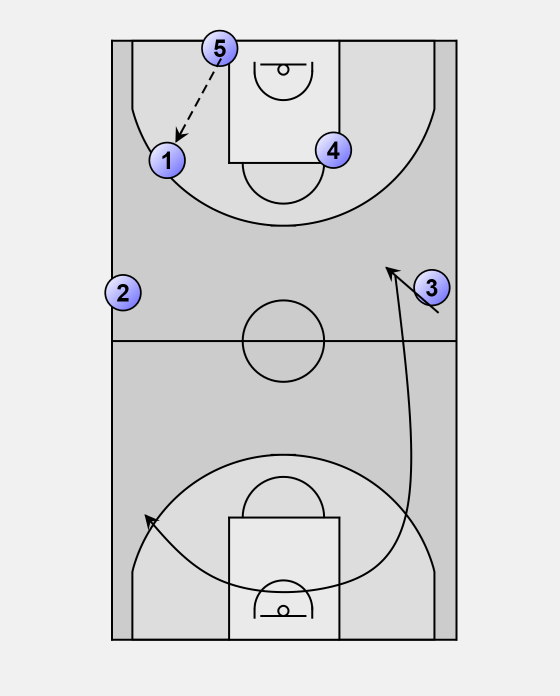 2 receives the ball at half court and dribbles in to set up the play.